You spend a lot of time on your wedding. There are so many details to the day: dress, colors, band, venue, flowers, not to mention delving into invitations, decorations, and even napkins. It's a lot! So why bother? And why photograph them? Because you're creating an experience. Your wedding day is not only when you say I do but when you celebrate this step in your life with those that you love the most. 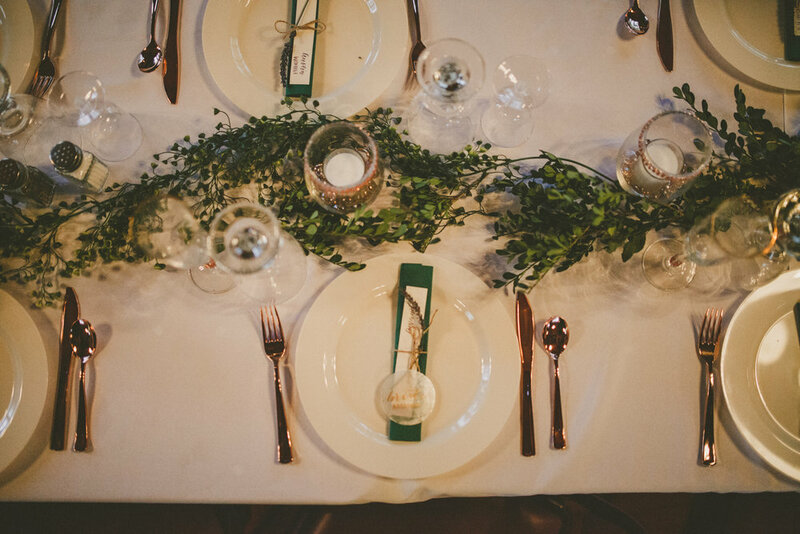 While I'm not a fan of going massively in debt for weddings, I think less is more, you can still choose small details that truly make the day magical and cohesive. Why even bother photographing it? Why? Well, lets say number one you spent a lot of time on it and possibly spent some dolla dolla billz on it! But also because your wedding photography should also be a reflection of your wedding day experience. Years down the road you're going to forget some of those fun and unique details that were all part of your big day! Even the ones that didn't go perfectly as planned will be great. It's all part of those awesome memories. I am also a big fan of making sure you budget money to get a photo album from your photographer. It's so easy to let time pass and never print your wedding photos or have them around! It's worth the extra price to have them all together in a beautiful collection to share with others and have all in one place. Details really round out the album and help give a sense of the full experience. So don't let the details overwhelm you, enjoy them, have fun, make them unique to you and your partner, and have your photographer be sure to document them to remember your wedding day experience.